Chinese Aerospace Long-March International Trade Company showcased the new M20 Guided Ground Launched Ballistic Missile Systems, designed to attack land targets with precision. Two M20 Precision Guided Ballistic Missile can be carried by a single transporter-erector-launcher vehicle. M20 Guided Ballistic Missile was displayed for the first time at the International Defense Exhibition (IDEX) in Abu Dhabi, capital of the United Arab Emirates (UAE) in 2011. Over seventeen Chinese companies displayed their defense products at the International Defense Exhibition (IDEX) in UAE. The M20 Guided Ballistic Missile is said to be in same category as the Russian SS-X-26 'Stone' (also known as Iskander-E). The 3.8 ton Iskander has a solid fuel rocket motor and a range of 280-400 kilometers, with a 400 kg/880 pound warhead. Iskander-E is a road-mobile, single-stage missile which uses inertial/GPS unit along with Russian Glonass position system to get updates during mid-course and a terminal guidance is can be achieved with either an active radar or optical scene matching system. The combination of all these guidance systems provide Iskander-E missile with an accuracy of 10 to 30 meters. Increasingly, Russia has accused China of stealing a great deal of Russian military technology, and warned of repercussions if China tried to sell these copies to the export market. 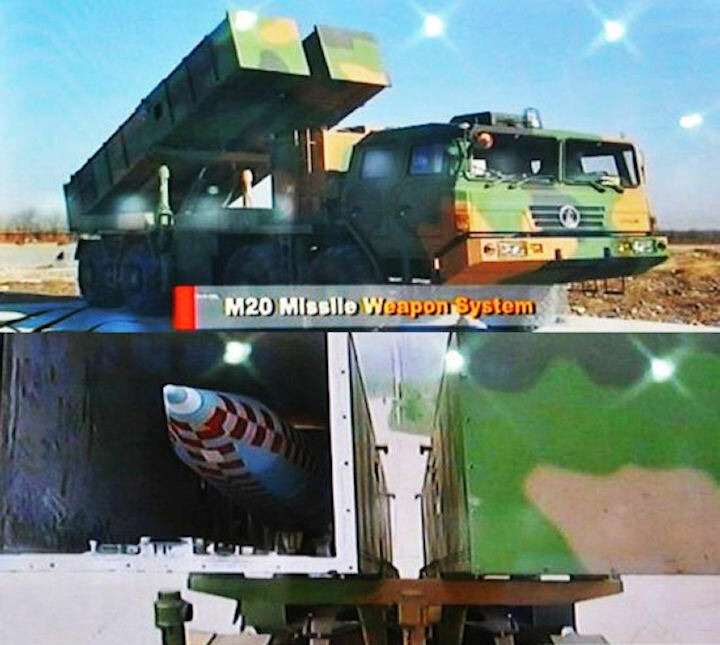 According to publicly available information, the M20 missile length is 7.815 m, 0.75 m diameter bomb, take-off weight of 4010 kg, a range of 100-280 kilometers. 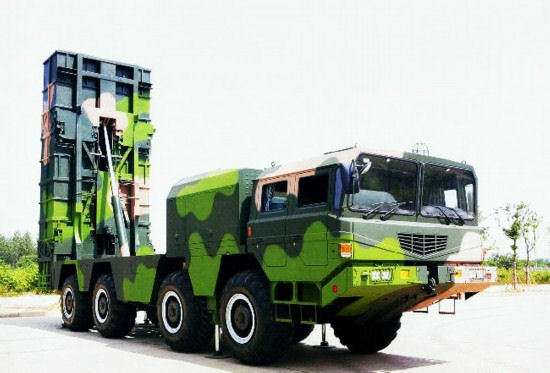 Taking into account the MTCR restrictions, M20/DF-12 actual maximum range may be more than 300 kilometers, some analysts estimate its extended-range missile with a range of 420 kilometers. Missile with INS + GPS combined guidance, CEP less than 30 meters away. Increase the terminal guidance can further improve accuracy. M20 using the box-type vehicle tilt thermal emission, each TLE launch vehicles carries two missiles. Horizontal launch angle is 45-65 degrees, the azimuth angle of plus or minus 30 degrees, 4 launch crew, launch preparation time 12 minutes. Combat units for the launch battalions, with six launchers, six loading vehicle, a command vehicle, 36 missiles.